In the past 30 years since 1985, more than 1 million cowboys and cowgirls and their friends have invaded Las Vegas during the pre-Christmas periods for the Wrangler National Finals Rodeo that has sold out 280 consecutive performances at the Thomas & Mack arena. Last year, the total attendance was over 176,000 with almost 90-million-dollar non-gaming economic impact to the city. 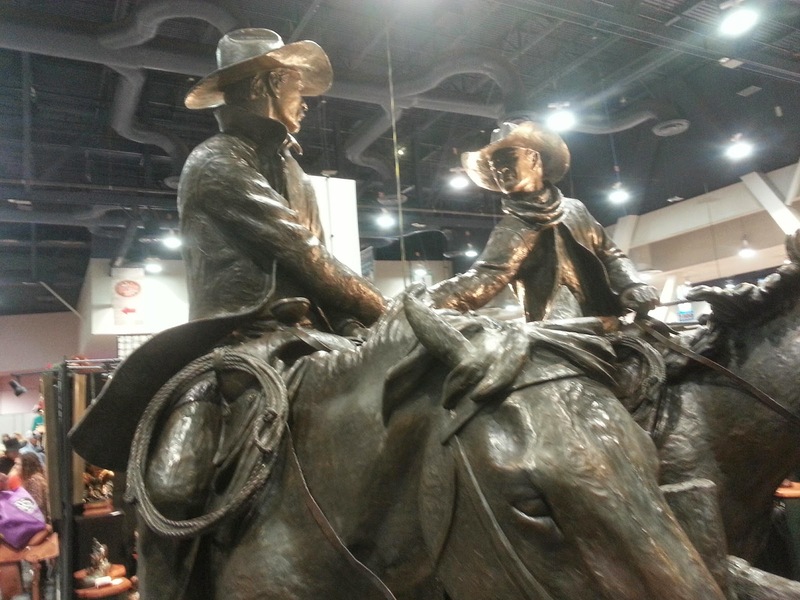 In 2014, the competitions run from December 4 through December 13, along with Cowboy Christmas Gift Show and Cowboy Fan Fest at Las Vegas Convention Center’s North Halls. Postcard US-2168978 to Germany was part of the postcard book Western Horseman purchased at the Cowboy Christmas Gift Show during the National Finals Rodeo in 2012. 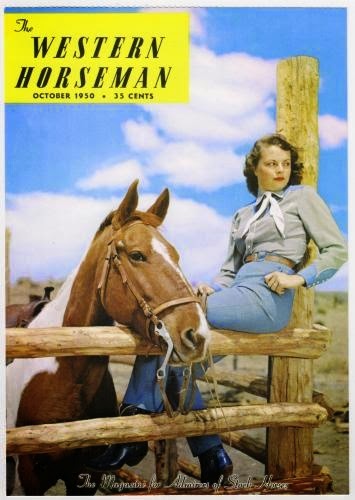 It shows the magazine's October 1950 cover and brings to mind Western heroines of that era. Barbara Stock, a Colorado University student and aspiring young horsewoman was photographed by frequent contributor Clarence Coil. Barbara Stock, who competed in local horse shows and rodeos, appears with her favorite Pinto mount at a ranch near Colorado Springs.